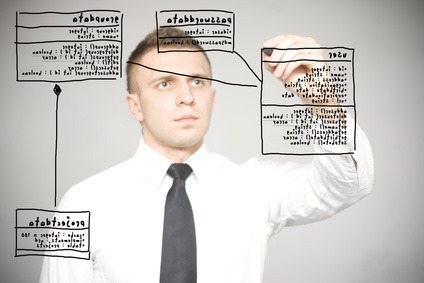 In computer programming, unit testing is a software testing method by which individual units of source code, sets of one or more computer program modules together with associated control data, usage procedures, and operating procedures, are tested to determine whether they are fit for use. Intuitively, one can view a unit as the smallest testable part of an application. In procedural programming, a unit could be an entire module, but it is more commonly an individual function or procedure. In object-oriented programming, a unit is often an entire interface, such as a class, but could be an individual method. So, according to Wikipedia a unit can be “an entire module”, “an individual function”, “an entire interface/class”, but also “an individual method”. A little less vague, a unit here is described as the “smallest piece of testable software in the application”. This still leaves room for debate. …Firstly there is a notion that unit tests are low-level, focusing on a small part of the software system. Secondly unit tests are usually written these days by the programmers themselves using their regular tools – the only difference being the use of some sort of unit testing framework. Thirdly unit tests are expected to be significantly faster than other kinds of tests. A unit test is an automated piece of code that invokes the unit of work being tested, and then checks some assumptions about a single end result of that unit. A unit test is almost always written using a unit testing framework. It can be written easily and runs quickly. It’s trustworthy, readable, and maintainable. It’s consistent in its results as long as production code hasn’t changed. A unit of work is the sum of actions that take place between the invocation of a public method in the system and a single noticeable end result by a test of that system. That end result is the method returning a value, some public state of the class changing or the public method being tested invoking another method in a dependency. I really like this definition, however, I find the choice of using the term “unit of work” unnecessary, especially because it is a loaded term. For example, when discussing Object Relations Mappers (ORMs) the term “unit of work” has a completely different (and well established) meaning that is misleading in this context. Can we agree that when we are writing a unit test we call a single method on the class we are testing? If so, then why can’t we consider a unit to be the logical path (path that the execution of the code takes) through that method given our initial setup of the test. The tests need to be deterministic, so for the a given setup the logical path will always be the same. Let me show you an example using an Account class and a Withdraw method. If there are enough funds, the amount withdrawn is taken from the account’s balance, if not an InsuficientFundsException is thrown. 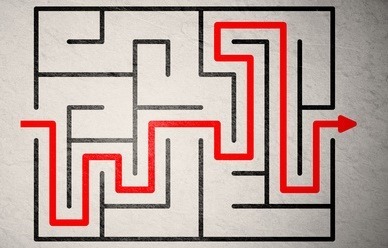 There are two possible logical paths through the Withdraw method, one where there are sufficient funds, and another where there aren’t. If we want to be thorough, we should write a test for each. Let’s have a look at how this definition works while we write the Deposit method for our account. And let’s do it test first. We can see that up until now we have a test per logic path. We can add an extra test to cover the case where the amount is zero. However, I’d argue that that test exercises the same logical path through the code (unit) than the positive amount test (however, no harm will come in having that extra test). If we want the method to behave differently when the amount is zero, then we’d have to add another if statement, and that would produce another possible logical path through the method, for which we could write another unit test. You might be thinking these examples are super simple. How would something more complex, where there are other classes/dependencies involved fair? Does this notion of a unit being a logical path through the code hold? You’ve probably noticed that I added a few dependencies (IFraudDetectionService and INotificationService). We’ll get to that. But first, what happens to the tests we previously had? We have to adjust them so that they take into account the new dependencies, but should we keep all of them? Maybe we can drop the Deposit_PostiveAmount_AdjustBalance test. If we look at all the possible logical paths through the Deposit method we can see that the there’s no way that that test fails in isolation (path 2/3). If the balance is not updated correctly, both Deposit_SuspiciousAmount_UpdatesBalanceAndSendsEmailToFraudDeparment and Deposit_NonSuspiciousAmount_UpdatesBalanceAndDoesNotSendsEmailToFraudDeparment fail. On the other hand, one can make the argument that we should have all tests, one for when the amount is negative, one that only asserts that the balance is updated correctly, another that verifies that the notification service is called when the deposit is suspicious, and another verifies that the notification service is not invoked when a deposit is not suspicious. If we want that our definition of unit takes this into account, we can say that a unit is a verifiable change that occurs in a logical path through a method. That can be a change of internal state that is externally visible (e.g. 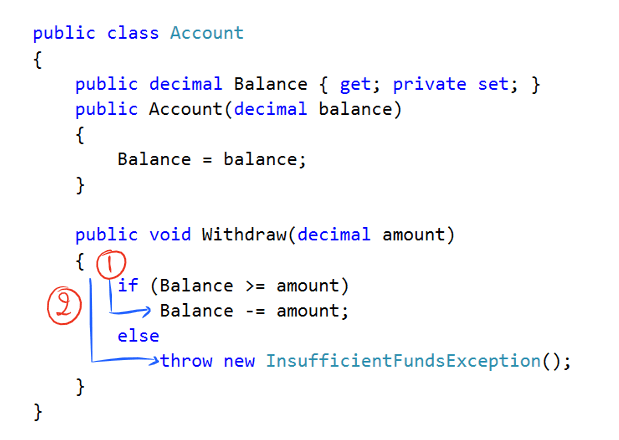 the Account’s Balance), a method invocation in a dependency (e.g. verify that the notification service was called) or the return value of the method. The advantage of doing this is that it is easier to figure out what is wrong just by looking at the name of the failing test. One thing you might have noticed is that this idea of logical path is very similar to a software metric named Cyclomatic Complexity. A method’s cyclomatic complexity is “the number of linearly independent paths through the code”. In fact, right now, as I read the Wikipedia entry, I’ve just noticed this idea of using the logical path in testing is not new. That author of the Cyclomatic complexity metric (Thomas McCabe) describes this idea (one test per logical path) as a testing strategy in a paper from 1996 (way before unit testing was popular). It is named basis path testing. This is a bit of an aside, but you should have noticed that I used interfaces so that I did not have to specify a specific criteria for when a deposit is considered suspicious, or how the “fraud department” is notified. 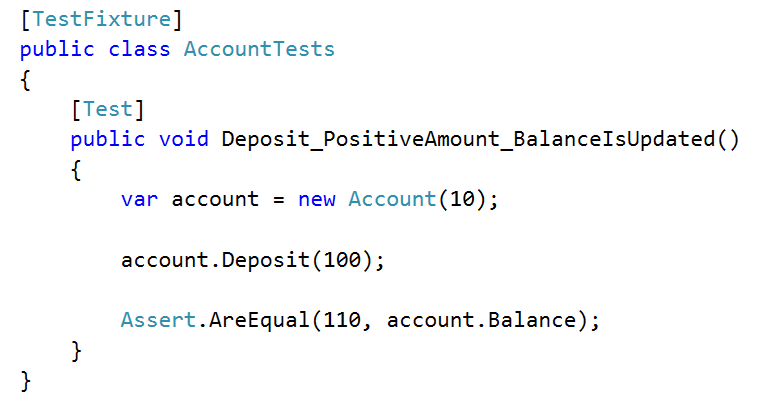 This not only made the code easier to test, it also has the advantage of isolating the Account class from changes in the criteria used to determine if a deposit is suspicious or how the notifications should be performed. I brought this up just to mention that if you write the tests first you’ll have these problems in mind, you’ll want to write your code so that it is easy to test. You will feel compelled to write small focused methods, and be very mindful to what does and doesn’t belong in a class and should be considered a dependency. Also, you should be in full control of the code that executes through the logical path you are testing. For example, in Deposit_SuspiciousAmount_UpdatesBalanceAndSendsEmailToFraudDeparment I used moq to create a stub of the IFraudDetectionService interface that always returns true when IsDepositSuspicious is called. Say the implementation of that dependency made a call to a database or some other service over the network. That would make that test be considered an integration test. However, I’d argue that even if no database call was made, or any service called, you should still use the isolation framework and create the stub. It removes uncertainty. When the test fails and you are in full control of what was executed, you don’t have to guess what went wrong. The area of design has a very elegant principle named The principle of least astonishment. Sometimes it is also referred to as The principle of least surprise. It means that you should not do something that surprises the user, such as having a close button opening a new page, a trick that many spammy websites use. This principle is very important in design because it helps guide the creation process. It guarantees that the design that is produced is easier for the user to use. A great thing about this principle is that it is very easy to understand and we immediately can relate to situations where we felt it was violated. There are principles in the area of software whose goal is also to guide the final product into a state where it has some desired properties, usually that it is easy to read and that it can easily withstand change. Unfortunately software is more abstract than design. It is harder to visualise. Its principles are frequently misunderstood, and people tend to learn them from word of mouth. For example, the SOLID principles. Would you say most developers you know have read the original papers where they were introduced? I, for example, have seen the single responsibility principle being invoked for the most bizarre things. One of the ones I’ve heard most often is for justifying putting everything that is remotely related in a single class, almost the opposite of what the principle means. Maybe we need simpler principles. Not that we don’t need the ones we already have, but maybe we can look at other areas and adapt their principles to software, especially the ones that we can visualize and relate to. These might be especially useful for novice programmers because they are easy to understand. The principle of least surprise is one of them surely, and often people already use it in the context of software design. Another principle that might be useful (and this one as far as I know hasn’t been used in software) is the principle of reasonable expectations. It is a legal principle in that a contract should be interpreted as how a reasonable person (who is not trained in the law) would interpret it. It favours the objectively reasonable expectations of the weaker party (the reasonable person) even when the language of the contract does not explicitly supports them. This principle emphasizes the “consumer” of the contract, in software we could draw a parallel with the person who has to maintain or use the code. And this person is not necessarily a different person than who wrote it. Given enough time, even the code that we wrote becomes as alien as anybody else’s. Other examples include things that the method does that it is not reasonable for someone to expect, for example, imagine you are using an API to control grids of elements (imagine a webpage with a dynamic grid/table of results). If this function is called: grid.select(element);, the row that contains the element gets highlighted and the page scrolls to it. The second part, the page scrolling to the row, is not something that a consumer of the API would expect just by reading the method name. Let me just give you an example of how this can become problematic. Say that you want to implement filtering. Every time the user filters the results, the previously selected element can be filtered out. If this happens you want the first element of the grid to become selected. It would be more than reasonable to use the select function to achieve this. Up to this point, even after adding filtering it is unlikely that anyone using the select function would notice that it not only highlights the row where the element is at, it also causes the page to scroll to that element. This is because the filters are on top of the page, when they are used the first element is also visible, so the scroll function has no visible effect. Time passes and a new requirement arrives for having keyboard shortcuts for commonly used filters. Now the user can cause the results to be filtered anywhere from the page. If the user scrolls to the bottom of the page and uses the shortcut to filter the results, the page sometimes (when the selected element is filtered out) jumps to the top. The person tasked with resolving this bug will likely look for it first in the code that handles the keyboard shortcut that triggers the filtering. When that fails, it is also likely that eventually when the code that handles the filtering gets looked at, the select(element) method is not considered to be the culprit. This is because it is not reasonable to expect (unless the person solving the bug is familiar with the implementation) that selecting a element causes the page to scroll to the row that contains that element. This problem could be solved by separating the function into two other functions and name them in a way that what they do is clear, for example, grid.highlight(element) and grid.scrollTo(element). This example nicely illustrates why I think this principle has a place even though it may seem similar to the principle of least astonishment. It is easy to imagine whoever wrote the grid.select function to argue that it is not a surprise for the page to scroll to the row that contains the element when that element is selected. 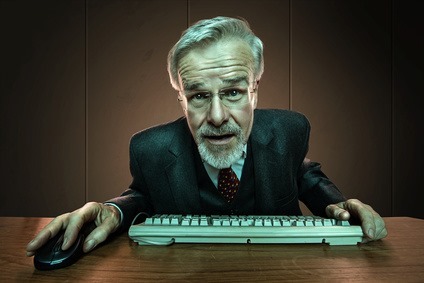 However, it is not reasonable to assume that someone who is not familiar with the implementation of the select method to expect it to have that behaviour. Another useful thing that this principle surfaces is that if something provides no reasonable expectations, then it is a violation of the principle. Consequently, naming functions as for example handleTriggerFailed will violate the principle since there is not much that the reader of the code can infer from that method name. Other examples that apply to class names: AbstractService, SomethingManager, SomethingHelper, etc. The principle of reasonable expectation puts the focus on the interpretation that the reader of the code is likely to have. It underlines the fact that the code’s main target audience is first the people and then the compiler. If that wasn’t the case we would all still be writing assembly. Inheritance is one of the pillars of Object-oriented programming (OOP), the other two being polymorphism and encapsulation. Inheritance is therefore centre stage whenever OOP is discussed. There are several flavours of inheritance however. There is implementation inheritance and interface inheritance. It is the former that is the focus of this post. Implementation inheritance is described as a way to achieve code reuse. This works by defining methods and variables in a class that is then inherited by other classes. Those other classes are said to be derived from the original class, and the original class is said to be their base class. The derived classes have access to the methods and variables from the base class, and this is how code reuse is achieved. The idea of sharing code this way dates back to 1967, specifically to the SIMULA language which is credited to have been responsible for the birth of object oriented programming. This concept dates back almost 50 years, it must be a great idea because it is still being used today. But put that thought aside and consider this instead. How would the scale of the programs written at that time compare with what we do today? I wasn’t born at that time, but I’ve heard from people who lived it that 500 lines of code was a very large program by the standards of those days. Today, that is very little. Also, artificial intelligence was doing well at that time (this was before the AI winter), and there was this notion of IS-A that was very popular. IS-A is a concept that came from the field of Knowledge Reasoning, namely Semantic Nets. In a semantic net there are nodes and arcs. A node represents an entity, and an arc represents a relationship between entities. One type of arc is named IS-A where the properties from the source node of the IS-A relationship are inherited by the target node. Sounds familiar? This idea of IS-A is still popular today when describing how to use inheritance. Just do a search for “object oriented programming inheritance” and select images. So why is it that implementation inheritance is not a good tool for code reuse? Well, it is heavily based on ideas from another area that do not apply in OOP, and there are better alternatives. I’m speaking of course, of composition. First, let’s look at how code reuse looks like through inheritance and then how it looks like through composition. The first obvious thing is that the code we want to reuse is only available to derived classes, also most modern languages only allow one base class per class. This design is opaque. What I mean by this is that by looking at the derived class the only information you have about the shared method is its name. Frequently you need to traverse the hierarchy up to understand what is going on. Moreover, if the derived class has more than a couple of lines of code it becomes hard to distinguish which methods are defined in the base class and which are defined in the derived class, because there’s nothing to tell them apart. And finally, it is not a test friendly design. Imagine that the SharedMethod makes a call to the database and you want to write unit tests for the MyClass class. It’s a hassle to mock the result of a call to the SharedMethod. How will this look like using composition? Now any class can use the code that we want to reuse, they just need to reference the dependency that has the code we want to share. There’s more information in MyClass for us humans. It’s not just a call to the method we are reusing without any context. Replace IDependency by IMailService and shared method by SendEmail and it becomes obvious what it does and where it is implemented. You’ve probably noticed that I used an interface IDependency instead of a concrete class. This is just another thing that composition enables that is not possible when sharing code through implementation inheritance. When you use implementation inheritance you tie your derived classes to the particular implementation in the base class. If you want to write unit tests for MyClass then it is very easy to use any isolation framework to be able to mock the calls to IDependency and test the method of MyClass in isolation. I almost feel like calling implementation inheritance automated copy & pasting, which if you think about, in its purest form, that’s what it is. How come it is so popular, even though it’s a less flexible way of sharing code? The way it is taught is very appealing, especially the IS-A concept seems to make a lot of sense at first. I think this is why it prevails as probably the first thing most developers think when they want to share code. However, when you take a hard look at implementation inheritance as a tool to share code you can quickly find that it is inferior, and that is why probably there are so many sources saying that you should prefer composition over inheritance. This is another one, with a little bit of history.